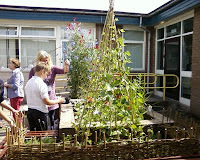 We have just finished the last of our school workshops that we managed to squeeze in before and after the Tatton Park RHS Garden Show. 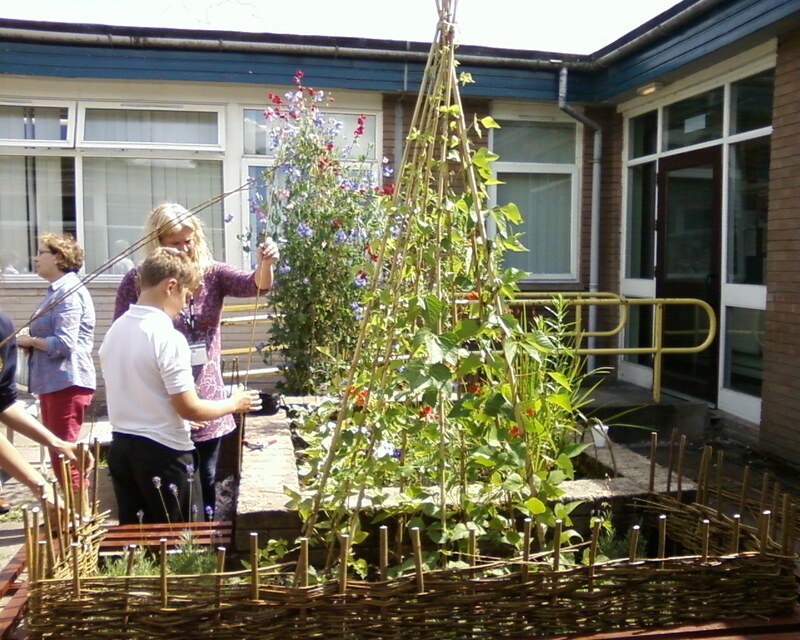 We worked at the Lakes School and created some fencing and structures for their quadrangle garden. 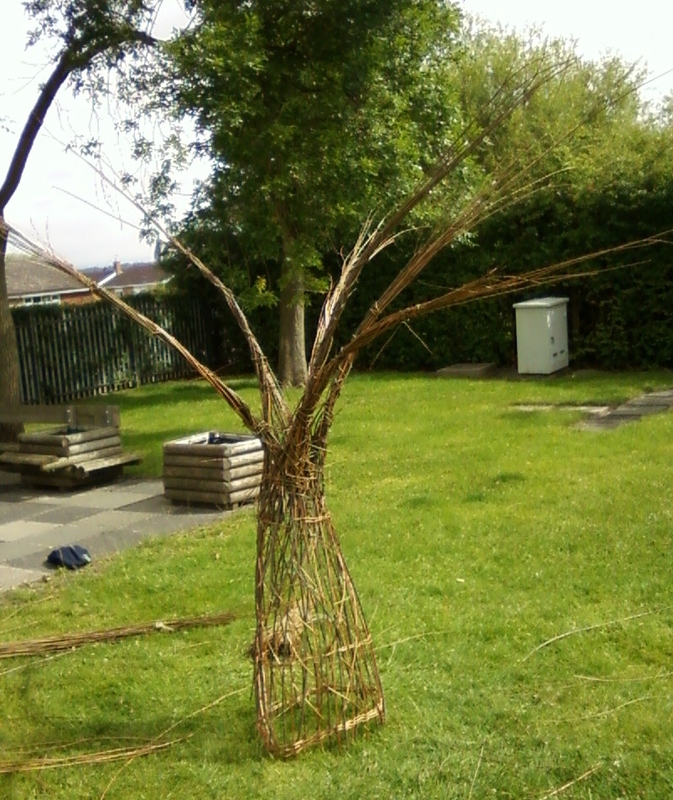 Then we worked at Lum Head Primary in Gateley to make a dome and a woven Wishing Tree. 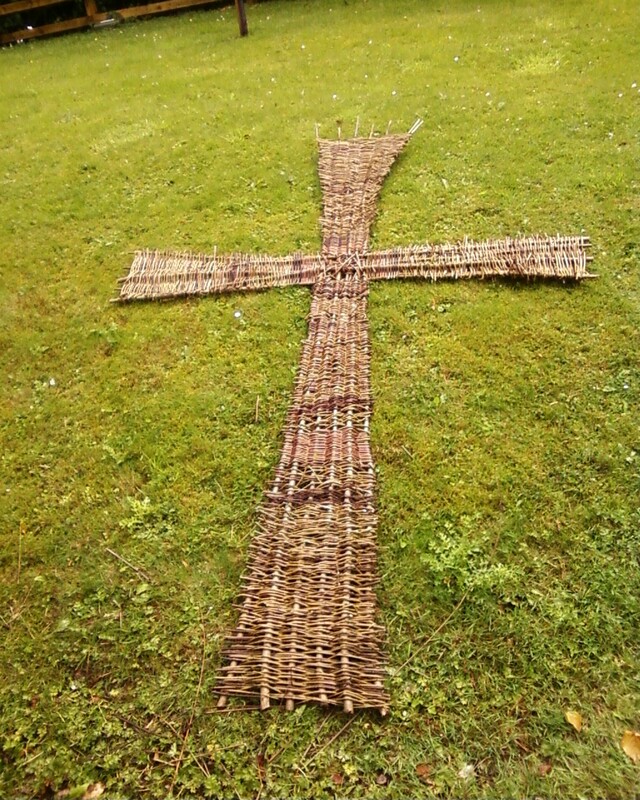 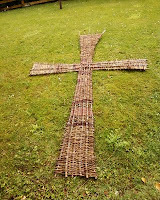 Then it was off to Yorkshire for a day to make a huge Cross for a school Faith Garden. Now we are taking bookings for the next Living Willow Season that starts in the winter.